While there are plenty of benefits, it can be hard – especially as a small business owner – to stay on top of your social media and realize these benefits. Because let’s face it you have limited time in which to complete unlimited tasks. 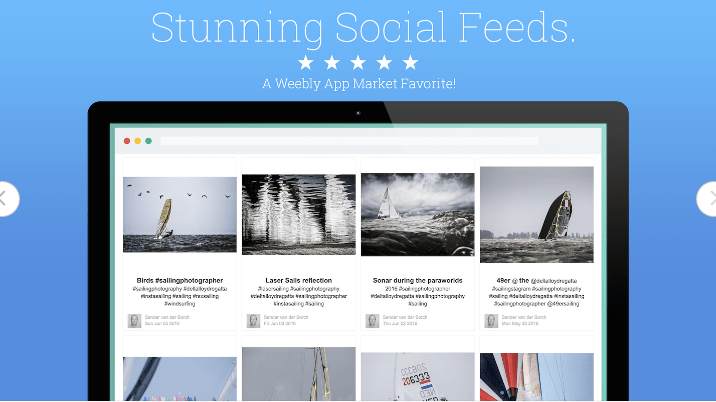 Here are 8 Weebly social media apps to help you boost your online presence. The social sharing tool is jam packed with features to engage your visitors, promote interaction, collect sign-ups and grow your social media following. There are many features available on both a free and a premium plan. 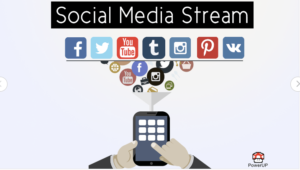 Multiple social media networks – Twitter, Facebook, Pinterest etc. And while many social media sharing tools cause website bloat, the Weebly Social Sharing App won’t slow your website down. It’s mobile responsive, fully customizable, and requires zero coding! 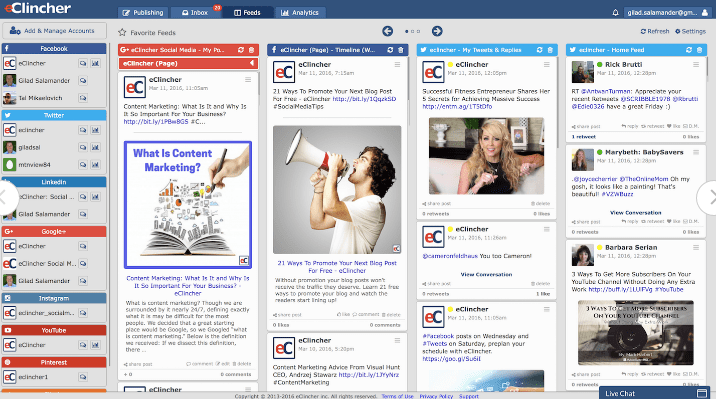 With eClincher you’re able to manage, organize, and analyze your entire social media network. Create a content schedule and schedule content hours, days, or even weeks in advance. Have peace of mind knowing that content is reaching your audience, even while you’re not working and/or while you working on other business activities. 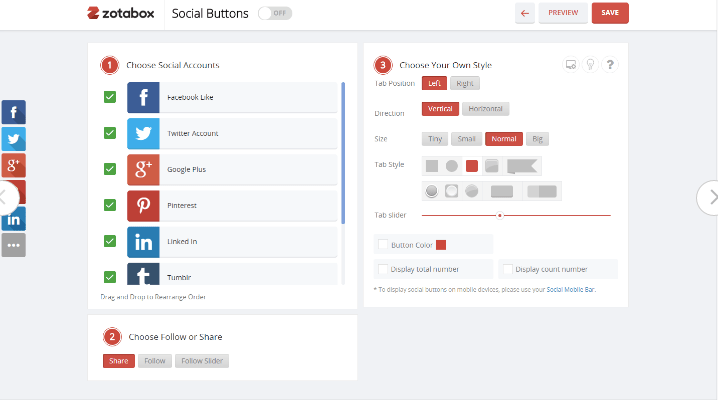 Ability to schedule and publish to multiple social media accounts. Monitoring live social media feeds and engaging with these feeds. One social media inbox for all your notifications and messages. Dashboard with analytics to monitor performance. A free 14-day trial is on offer, thereafter plans start at $15/month for one person. Wouldn’t it be cool if visitors were not re-directed once they click on your social media icons on your website? Dockvine is a social media app that solves this problem by displaying your social pages directly on your website. 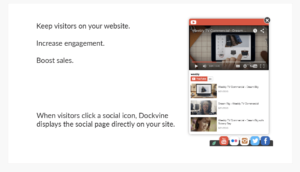 Visitors simply click on a Dockvine social media icon and the app displays those pages on your website, all without taking visitors to a new tab. This is powerful because it keeps visitors on your site, increasing engagement, and driving conversions. Two social pages are on offer in the free plan. For unlimited options upgrade to a pro plan for $4/month. This is one of the top apps in the Weebly App Center. As the name suggests, this Weebly social media app, allows your visitors to view all you real-time updates from social media directly in a stream on your website. This app integrates with all major social media networks and users have access to it even on mobile. Try it for free or pay $9.95/month for more premium features. If you’re looking for an alternative to the above, why not try the Social Feed app. 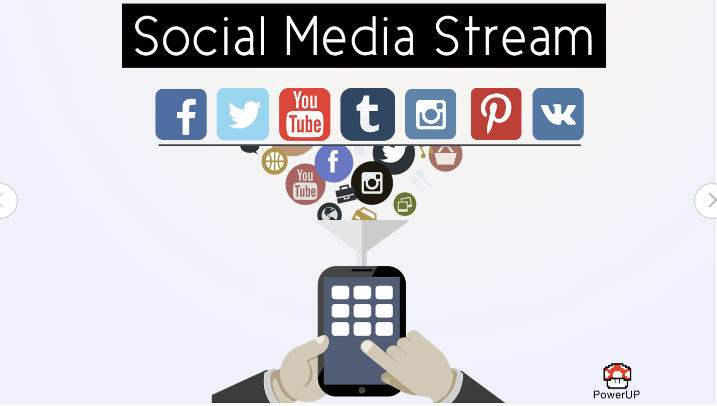 It also allows visitors to view real-time updates across all major social networks, create multiple feeds, and set the priority of different feeds for balanced content. Try it for free, thereafter its $4.99/month. 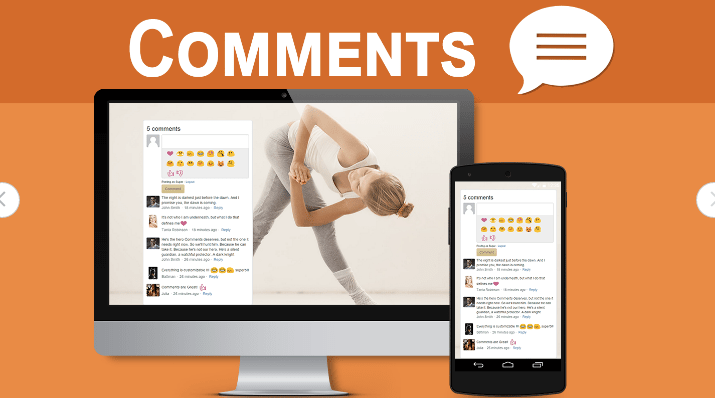 Drive engagement with Comments Plus. 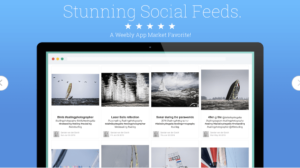 This Weebly app is the perfect way to interact with your readers. By installing the app and adding it to your website, users can ask questions, respond to comments, provide feedback, and chat about several topics on your website. You, in turn, can engage in the conversation. 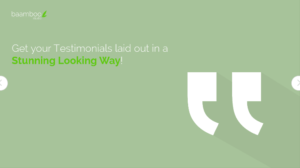 Gather testimonials and ratings from visitors. 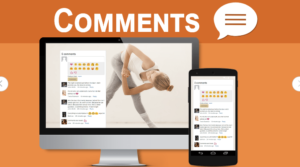 Integrate with social channels so users can use their accounts to comment. Personal face-to-face communication is not available online like in the traditional bricks and mortar environment. Building trust then, is essential, especially as visitors cannot touch or feel the product before buying it. By doing this you establish a relationship and drive sales for your business. Testimonials and reviews are often used to build trust and credibility. They alleviate purchase anxiety as it makes consumers think, ” If it’s worked for her, then perhaps it can work for me”. The Testimonials app lets you create 7 fully customizable responsive layouts and is available from the Weebly App Centre for a meager price of $3/month. Boost your social media following and grow your e-mail list with customizable pop-ups. 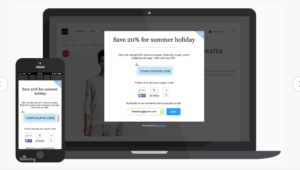 For online stores, encourage sign-ups and social media follows by offering redeemable pop-up coupons. For websites, encourage visitors to sign up to your mailing list with promotions and industry news. Create targeted pop-ups for certain pages and certain visitors. For example, have different pop-ups for new vs returning customers. Customize your pop-ups to tie in with the look and feel of your site. Create exit intent pop-ups. These enter as soon as the customer shows a sign of leaving the site. 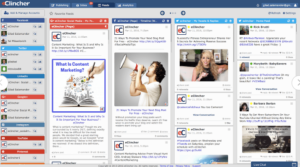 Integrate with social media channels and email marketing providers. Are you using any of the above Weebly social media apps? If you aren’t perhaps it’s time you gave some of them a shot. With so many internet users and social media accounts worldwide, there are thousands of people wanting your products and services. Use these 8 Weebly social media apps to find them and boost your online presence.